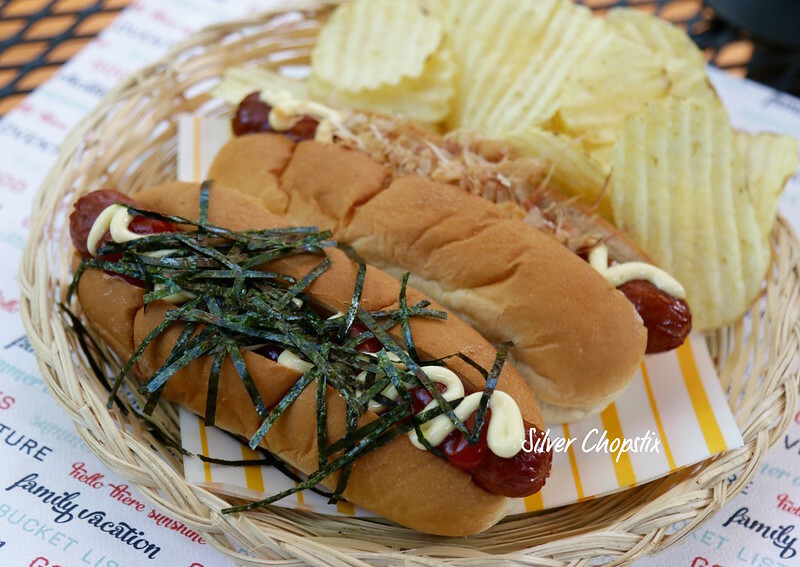 I’ve seen and heard of Japadog from a food blog sometime ago. They used to have a storefront in NYC but it apparently closed already. They still have store locations in Canada and California though. I have always wanted to re-create this and the perfect opportunity came yesterday, Memorial Day the time we open our grill for the Summer. 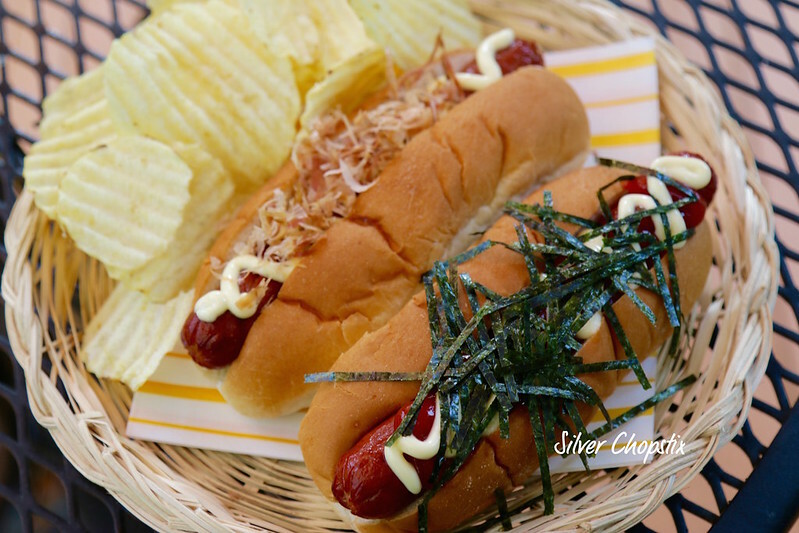 This is not your typical hot dog since it has some ingredients that are seriously Asian such as Nori which are seaweed strips and katsuobushi which are dried bonito flakes. I made two kinds one with Nori strips and one with Katsuobushi. First, grill some hot dogs. I used National Hebrew which is what my family likes. I made a couple of cuts on my hot dogs before grilling just for presentation. 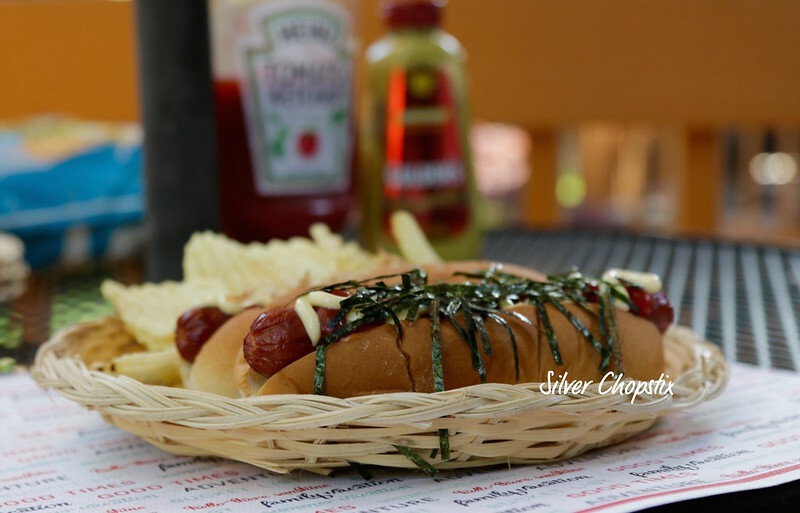 Then place your hot dogs in buns and add some ketchup and Japanese mayonnaise on one then top with nori strips. 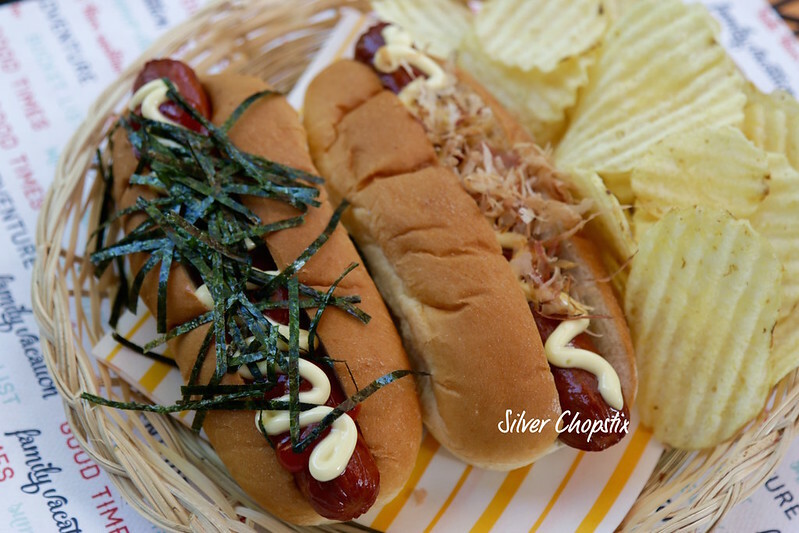 Get another bun and place your hot dog in between, add some Japanese mayonnaise and a drizzle of tonkatsu sauce (which is optional) before topping everything with katsuobushi.